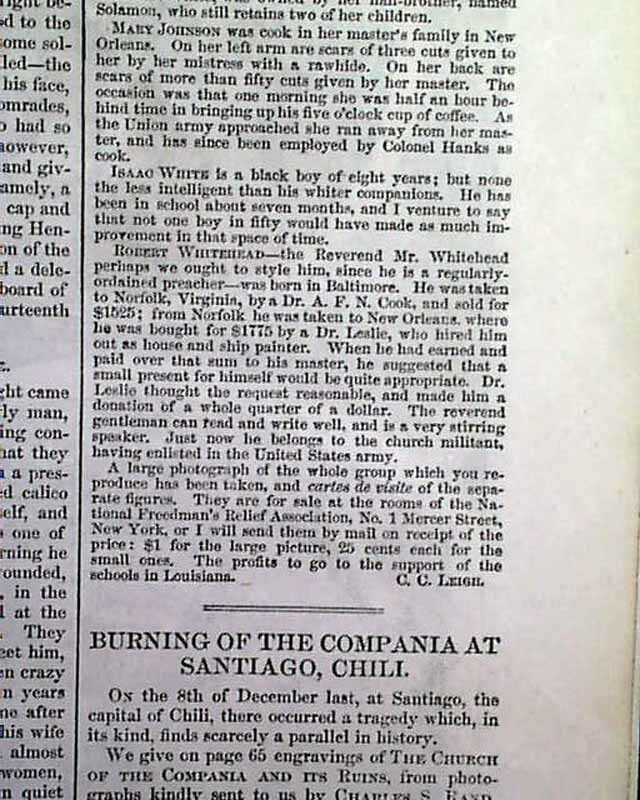 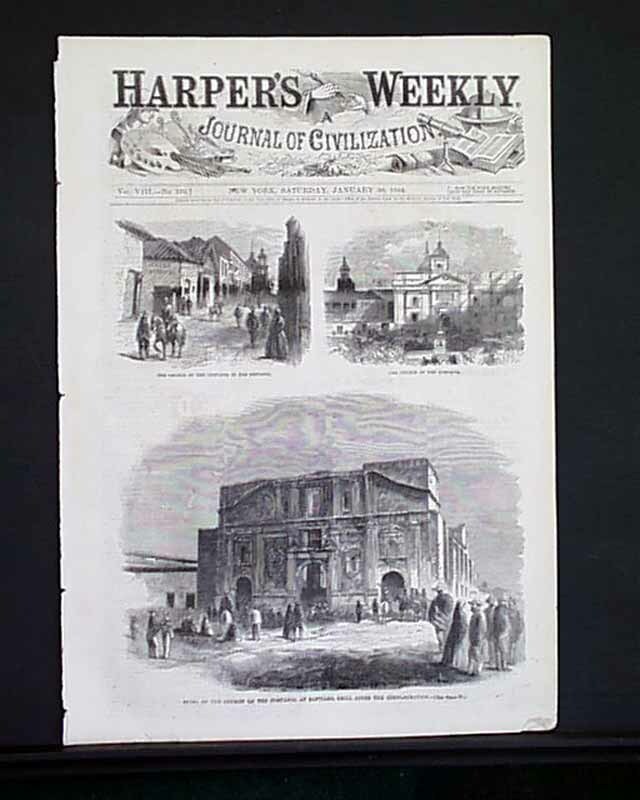 The front page shows the: "Ruins of the Church of the Compania, at Santiago, Chili, After the Conflagration". 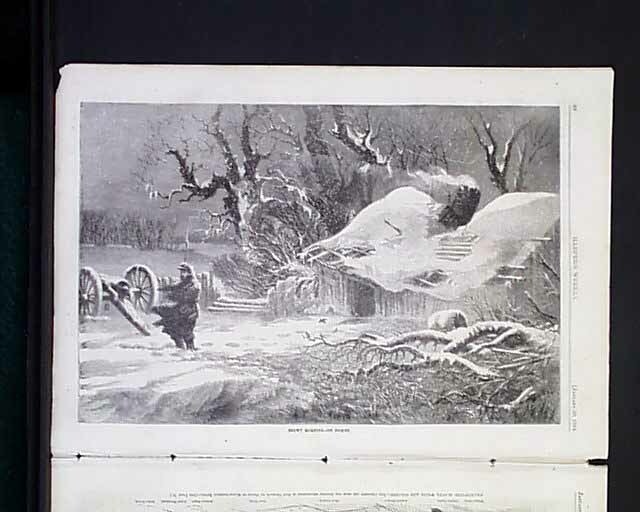 Inside has a full page: "Snowy Morning--On Picket" showing a Civil War soldier in the cold & snow. 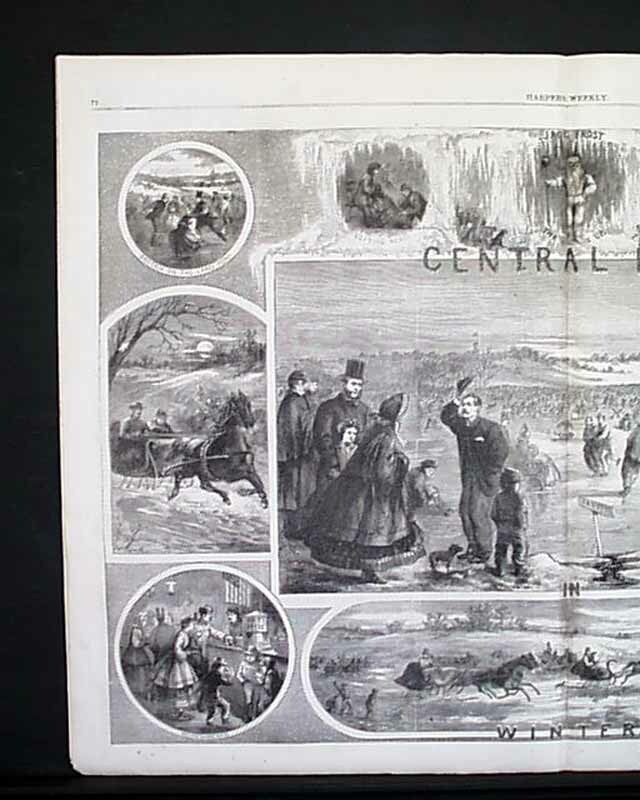 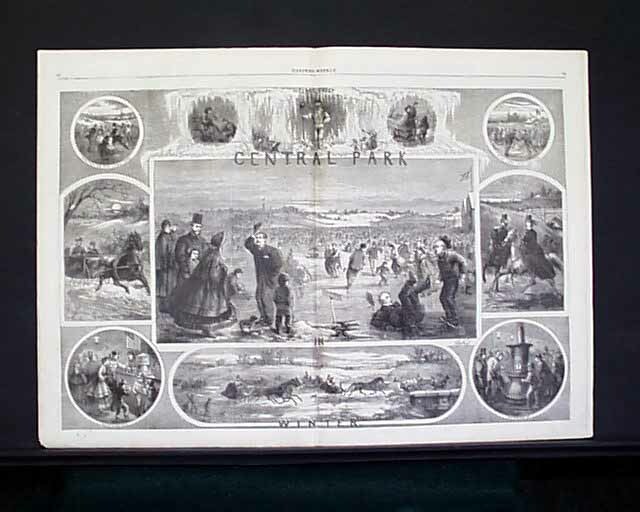 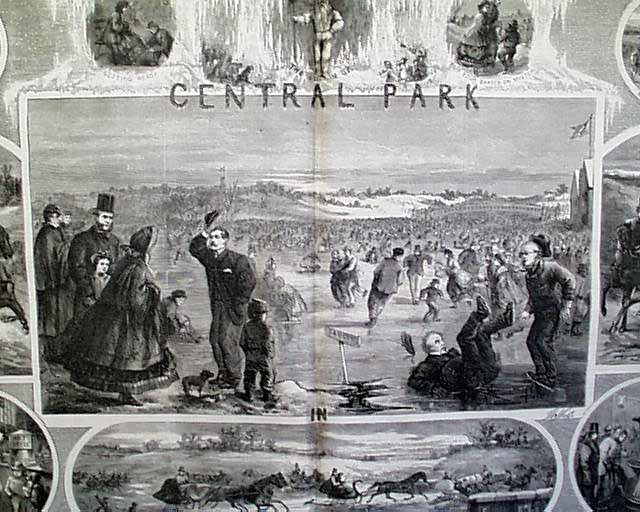 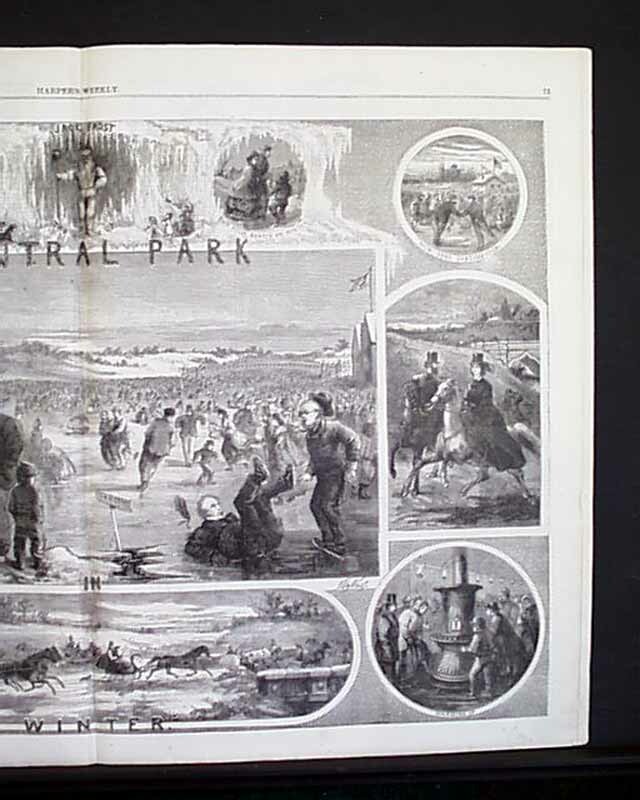 A very nice & displayable doublepage centerfold: "Central Park In Winter" shows 11 vignettes including a central image of people ice skating (see), done by Thomas Nast. 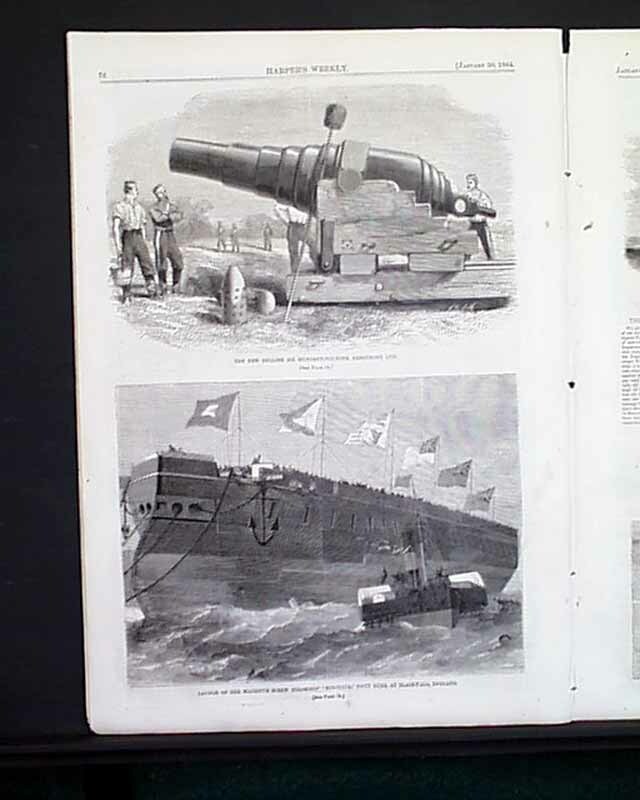 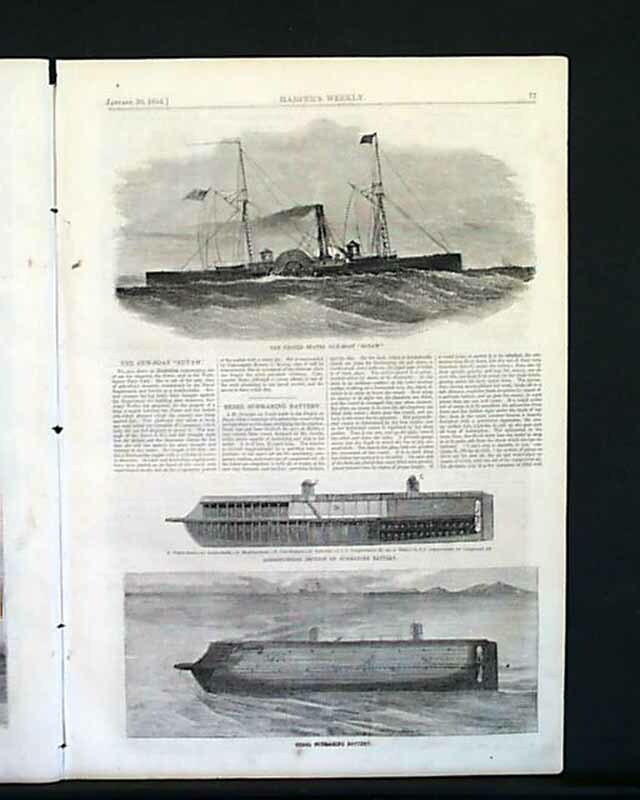 Two other pages include several views of ships of war including "The New English Six Hundred-Pounder Armstrong Gun" "Launch of Her Majesty's Screw Steamship 'Minotaur'..." "The United States Gun-Boat 'Eutaw' " "Longitudinal Section of Submarine Batter" and "Rebel Submarine Battery". 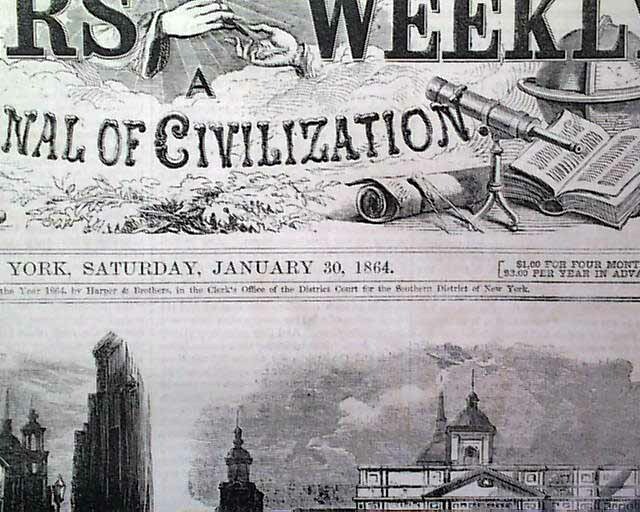 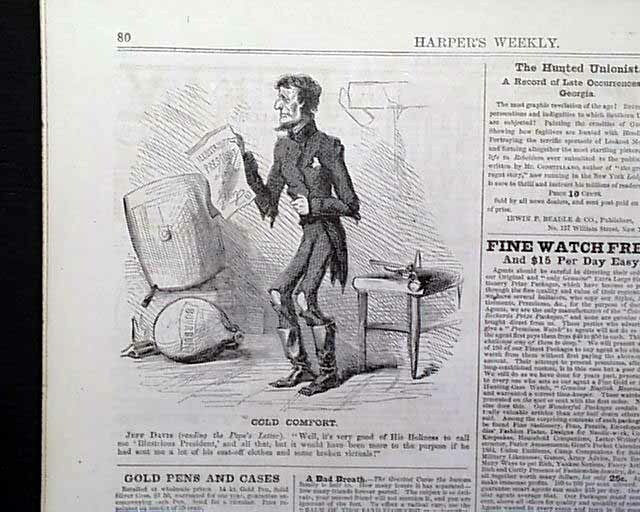 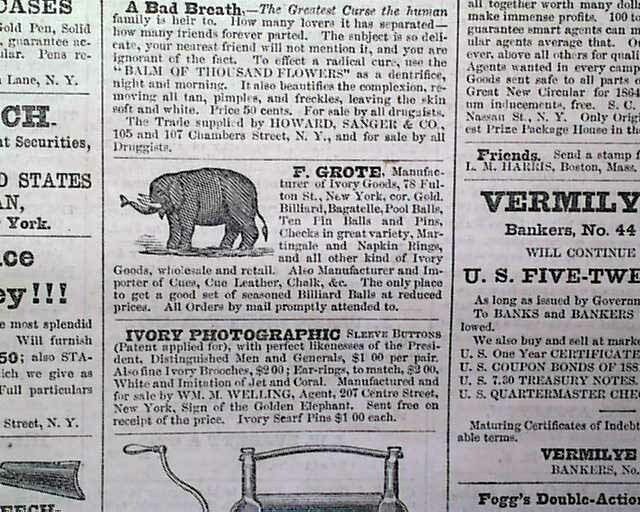 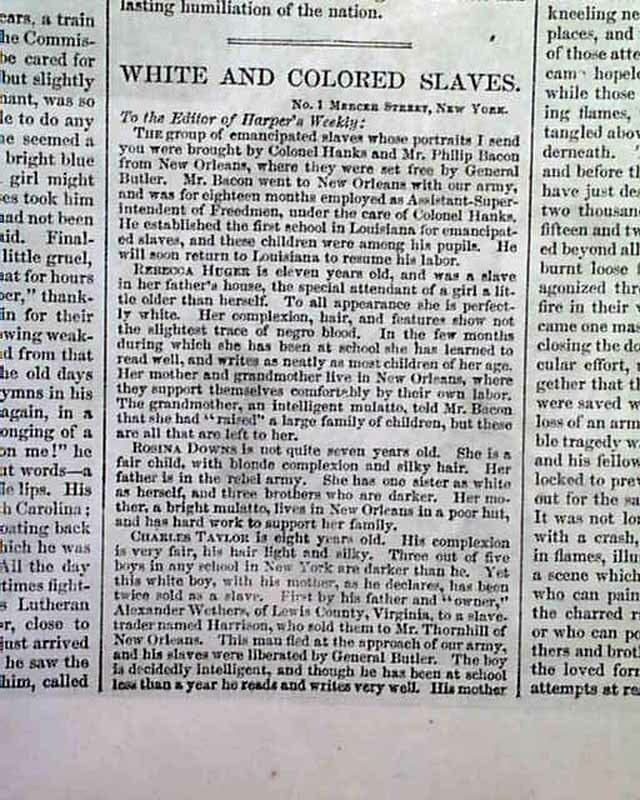 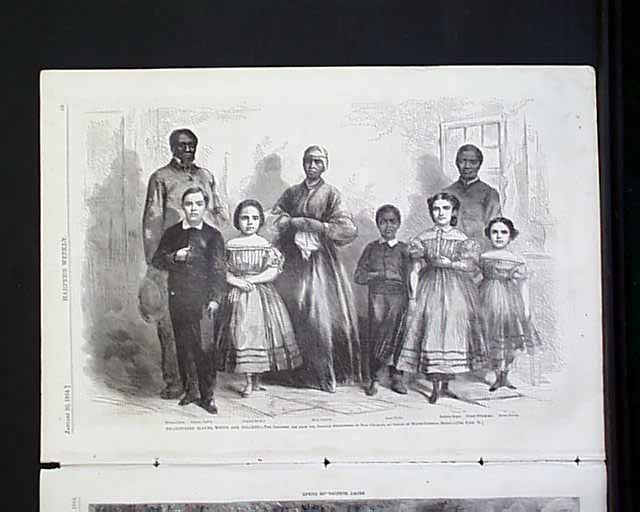 The back page has a political cartoon showing Jefferson Davis captioned: "Cold Comfort". 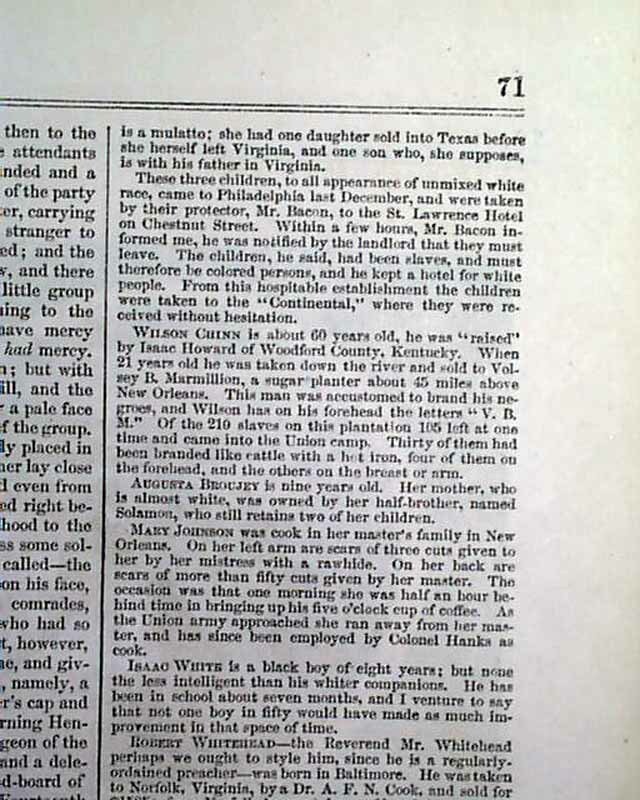 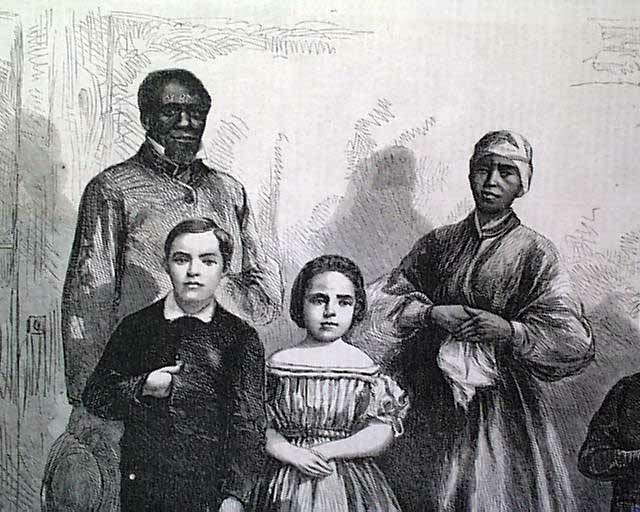 This issue also has the 2nd installment of "A White Hand and a Black Thumb", by Henry Spicer, originally published by Charles Dickens' in All the Year Round.